off I-580 and near BART. Here at Dublin Hyundai, we only speak one language: cars. Of course, we're fluent in its many dialects, including parts, service and finance. If you're interested in learning the lingo yourself, stop by and see us at our Dublin, California showroom today. Whether you hail from Livermore, Pleasanton, Hayward or San Ramon, we'll be happy to bring you up to speed. New car smell is great, and we've got a range of new Hyundai vehicles that will delight your senses. But we think feel is really where it's at when you're dealing with a new Hyundai Elantra, Santa Fe, Sonata, Tucson, Accent or all-new Hyundai Ioniq model. That's why the Dublin Hyundai sales staff is here to point you in the right direction and to assist you with the next step. After all, once you find Hyundai that looks right to you, you're going to want to get behind the wheel to see if you get that new car spark. If you're looking for something that's tried and true, we have you covered there as well. At Dublin Hyundai we offer a high-quality lineup of used cars, and we've put them to the test. Inspecting them thoroughly, we've ensured that these pre-owned vehicles not only meet our high standards for quality, but yours as well. If you can already picture the Hyundai Elantra, Santa Fe, Sonata, Tucson or Accent you've had your eye on in your driveway, remember you can always ask Dublin Hyundai for help. Our financing team is prepared to explain your car loan and lease options in detail after you've gone for a test drive. That way, you can know exactly what it will cost to get back behind the wheel and cruise the streets of Livermore, Pleasanton, Hayward and San Ramon in style. So you've driven off the lot and are on your way home, but out of sight certainly does not mean out of mind. Our on-site car service and repair experts are at your beck and call when you need routine maintenance or a bigger fix, if necessary. We only use genuine Hyundai parts, so you can be sure that quick and quality work is the name of the game. Simply put, Dublin Hyundai provides the full Hyundai ownership experience, which is why so many drivers travel from all over to visit us at 6015 Scarlett Court in Dublin, CA. 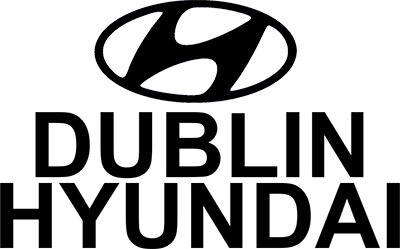 If you're interested in seeing why we're the go-to team for everything Hyundai, come visit us today. How Can We Assist in Your Vehicle Search?